My trading charts show my current positions and the amount tendered oneach spread bet. I want to share some of mycharts, but cannot figure out how to remove my positions. Sure it's simple, but I am not that tech savvy. 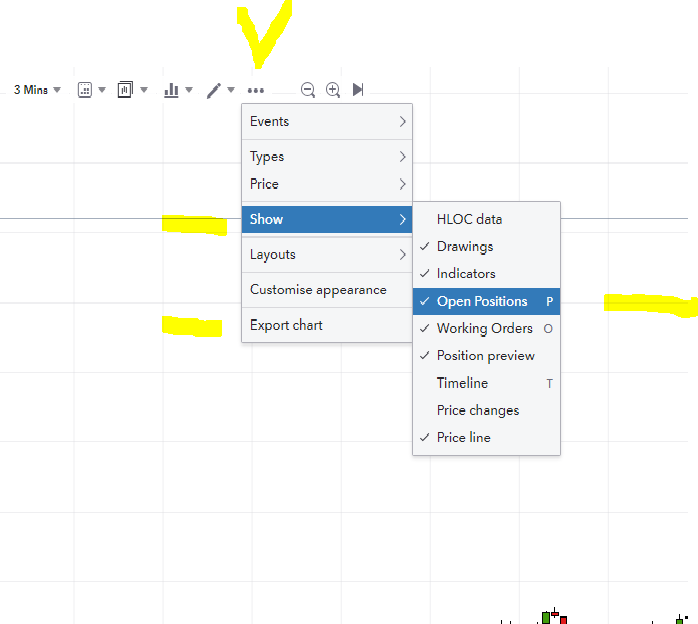 @FlyPoster, In the tools section click on 'other' (3 dots), then 'show', then uncheck 'open positions' then back and click 'export chart' and a copy of the chart will be added to your downloads folder, then re-check show open positions again.